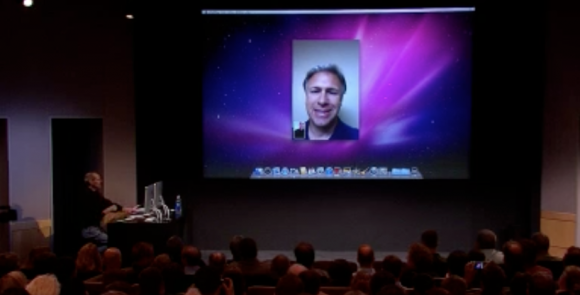 As we anticipated, FaceTime for Mac is now available as a beta, just like Steve Jobs promised. 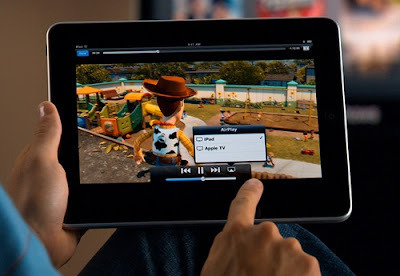 FaceTime for Mac allows you to make FaceTime calls to iPhone 4 and iPod touch users directly from your Mac. What’s interesting is that Mac FaceTime client is it’s own independent application, it was not built into iChat, although I bet this will change come the release of Mac OS X 10.7 Lion next summer. You can see the FaceTime for Mac client running in the above picture from Apple, and yes that’s the new MacBook Air featured in the picture. To run it you will need Mac OS X 10.6.4 (Snow Leopard) or later. It’s a 38.9MB installation. Setup is simple -- enter your MobileMe or Apple ID, or sign up for one if you don't have it. Sign in and you're ready to go. Your email address is your service locator, that's how folks will find you. 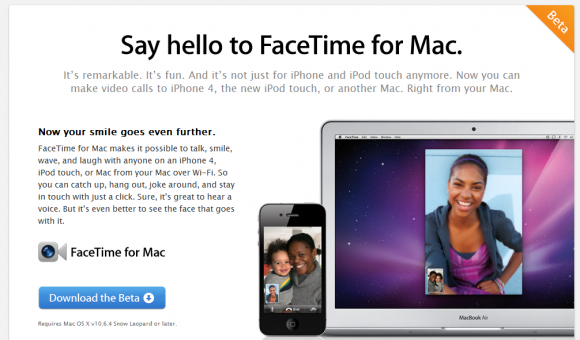 You can download the Facetime beta for Mac OS X from Apple.com or Direct download. See also Apple’s live stream for more detail. If you do want to watch Apple’s live stream you will need an Mac or iOS device, so fire up that iPad or MacBook and use Safari to make sure the video works!